Swami Karunananda, Vice Chairman, Secretary and Trustee of the Yoga School, is a nun of the Saraswati branch of the holy Swami Order. Born on 6th April 1950, she entered the ashram as a brahmacharini in 1985. 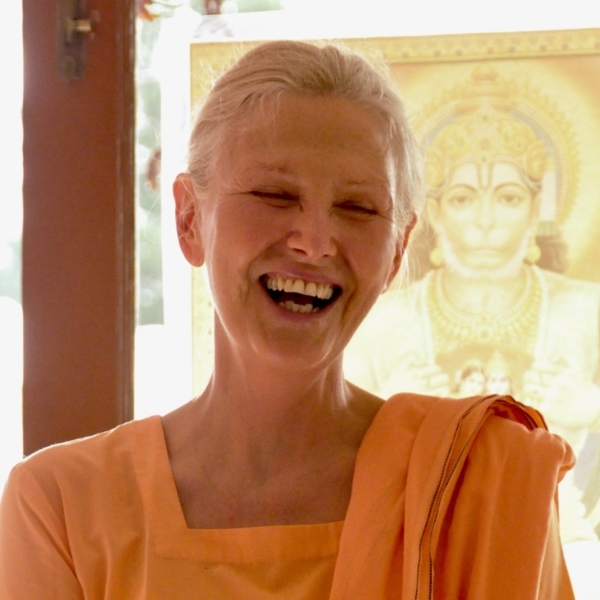 Swami Chidananda Maharaj initiated her into monastic brahmacharia in 1990, and into the Swami Order in 1996. Mataji is a psychic who provides inspirational counselling to the Yoga School’s members and Satsangis. She trains members in meditation, Yoga Nidra and other advanced practices.